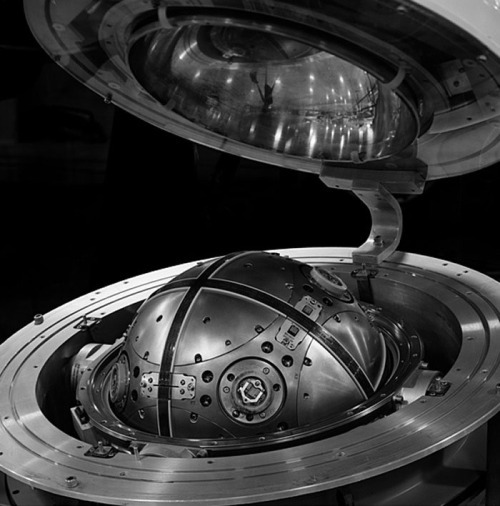 Internal guidance module of a Peacekeeper ICBM. Photograph by Martin Miller, 1986. This entry was posted in Front Page and tagged black and white, guidance module, history, martin miller, mx missile, nuclear bomb, peacekeeper, photography, Posthorn, Repost, tech, Tumblr on 09/10/2012 by John.